Our best seller! Two layers of 1.5" dive webbing all the way around, connected to a 1" AUSTRIALPIN COBRA buckle via 1" mil. spec. 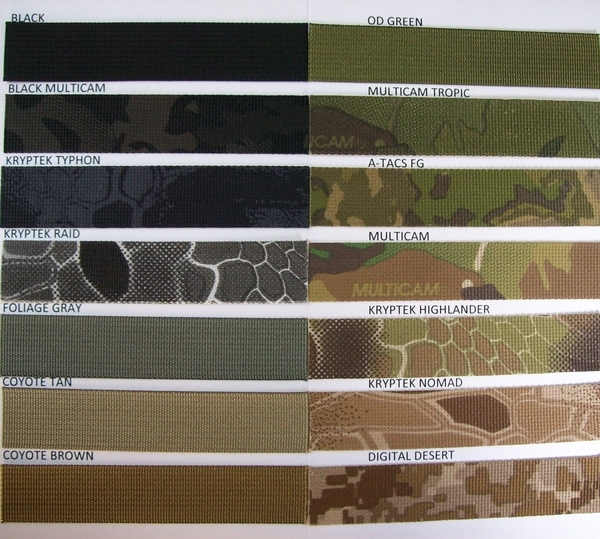 accent webbing. 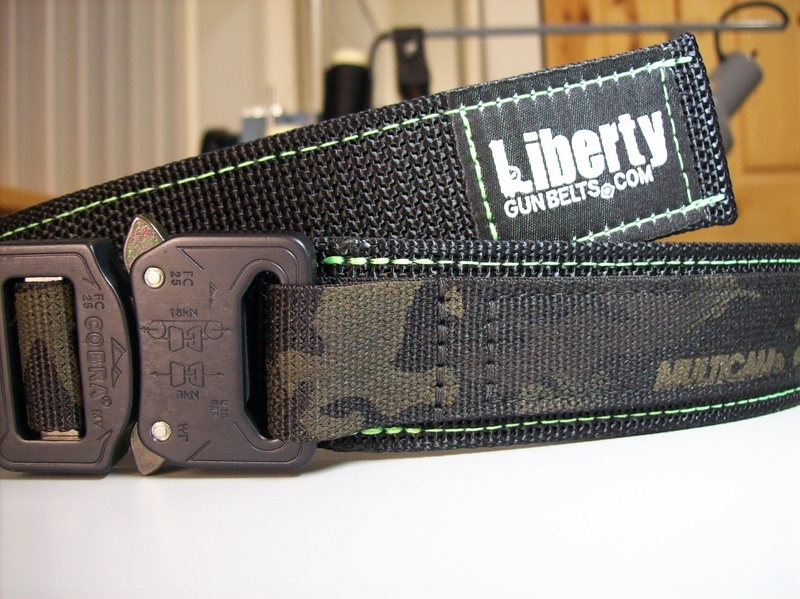 There is No Velcro on the tail of this belt which makes it much shorter, therefor fast, easy, and silent when adjusting on the fly. Comes with an elastic keeper for the tail (extras can be purchased under "accessories"), and it has over 9" of adjustment. Printed accent webbing works great on the No Velcro because it has no loop Velcro on the side to interrupt the pattern. No charge for contrasting thread on the outer dive webbing portion of this belt if you want it (see photo). 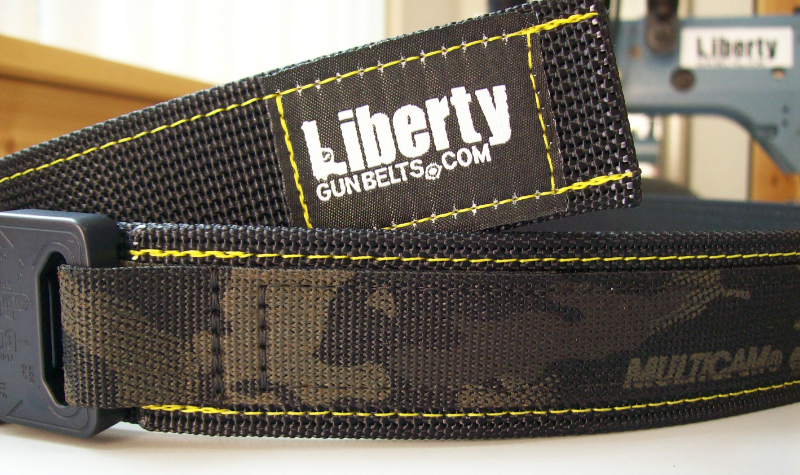 The 1.5" webbing is at least 1.5" and sometimes slightly over that so we recommend 1.75" holster loops. 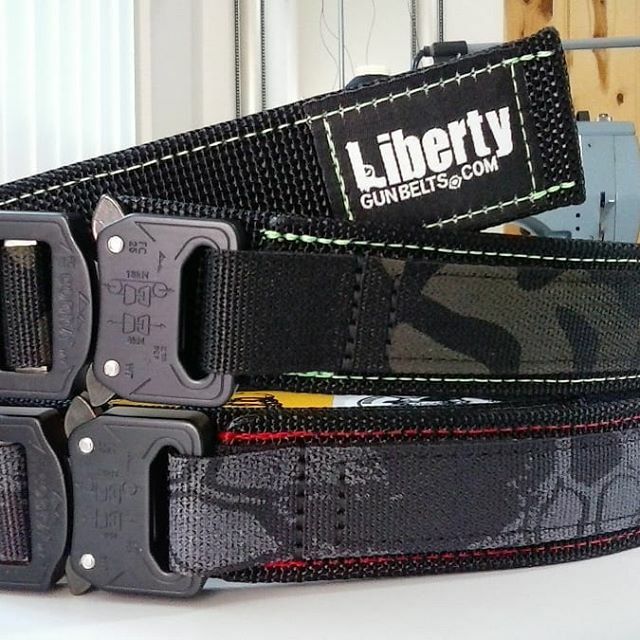 SIZING: MEN - ORDER THE SAME SIZE BELT AS THE PANT SIZE YOU WEAR WHILE YOU CARRY. WOMAN - SEE FAQ.